Make up, I LOVE it! I have been wearing make up since I was 11 and ever since the first day I put it on my face it has been a fascination for me. Unfortunately I am one of those ‘I can’t leave the house without it’ kind of women, can’t be seen without my ‘mask’ But who ever invented the stuff I salute you! Make up for me is like shoes and handbags is for other women, it is the one thing I will never be without! so I will be sharing lots of lovely makeup tips on the blog to make sure you keep an eye out for lots of helpful hints and tips. Today I have invited the lovely Catherine from Ivy Clara to tell us about some of her favorite day time make up products. As a makeup artist, I am forever buying, trialling and bagging (or binning) beauty products. As such, I thought it would be useful for readers to hear about some of the hero products I have discovered because they are worth every penny. 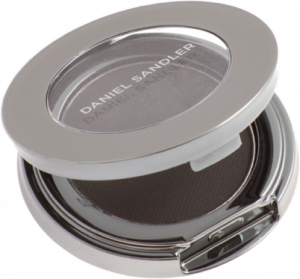 I am a big fan of Daniel Sandler products because I believe that they are perfect for ‘real’ women in that they enhance natural beauty, deal with common problem areas and are all wrapped up in stylish and convenient packaging (even some of the professional quality brushes come in handbag sizes!) So here are a few of my favourite products perfect for creating the day time look. I cannot stress enough how lovely this base is. The foundation comes with a matching concealer in the lid which is highly pigmented with good coverage, perfect for dark eyes and blemishes. 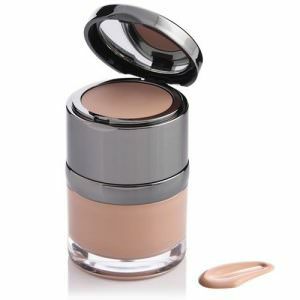 Another trick is that it can be mixed in with the foundation to create a fuller coverage base- genius!! Oh and the ‘What it says on the tin’ thing very much applies to this product!! This is one of the smoothest, freshest finishes I have ever achieved with a bronzing powder. The texture is like silk and as well as adding colour, I find it refines the texture of the skin also. 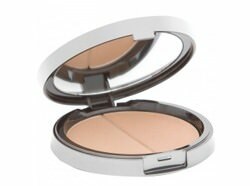 The powder comes in two shades which can be mixed to create an envious glow- perfect as we head into the summer months. It is extremely highly pigmented and easy to blend and because you only need to use a small amount, even for an intense finish, there is less product fall down…HOORAH!! 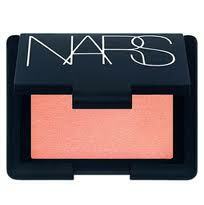 I really rate these shadows on colour pigmentation, application ease and amazing finish. It’s made with transparent pigments for a soft and sheer look’ and this is soooo true- it gives a subtle flushed cheek with a healthy glow. You will love it , people who don’t have it want it. Worth a splurge for sure! This is a staple element of my kit and one which it topped up on a regular basis (in my kit and on my face!). I hope this has helped you decide how to spend your hard-earned cash without the fear of wasting money.